The Trophy Wife has a new boyfriend. 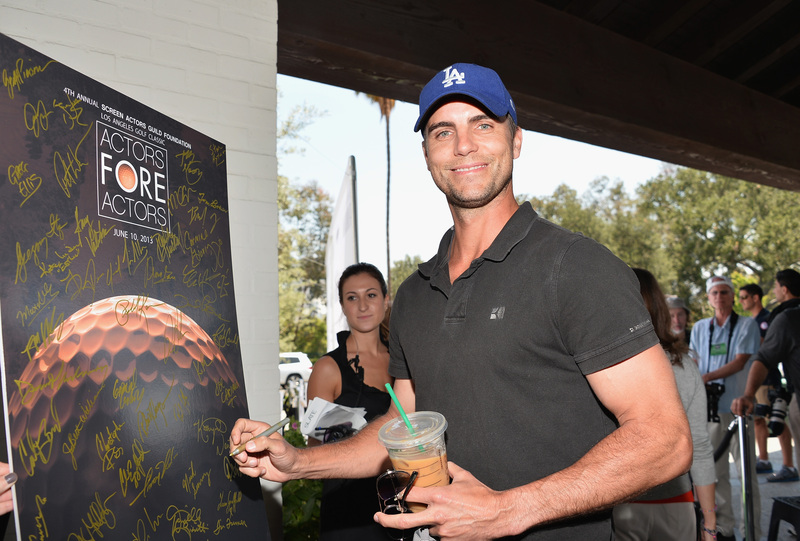 According to reports, Malin Akerman is dating actor Colin Egglesfield. The two have kept their relationship on the down low, but it appears that the two are very happy together — and they certainly do make an attractive couple. You know Akerman from her ABC hit Trophy Wife and films like Rock of Ages and Couples Retreat, but where do you know her hot new boyfriend Egglesfield from? The blue-eyed actor has been on TV for some time now, mostly in guest spots on shows like Nip/Tuck and Gilmore Girls. In 2009, Egglesfield landed a leading role on The CW's reboot of Melrose Place as the troubled chef, Auggie. He also had a recurring role on Rizzoli & Isles and was part of the main cast of the recently-cancelled The Client List as Evan Parks. You might also remember Egglesfield as the romantic hero of Something Borrowed, where he must decide between marrying his shallow fiancee or chasing after the girl of his dreams — who just happens to be his fiancee's best friend and maid of honor. Congrats to Malin and Colin — you guys make a lovely couple.